MILAN (Bloomberg) -- Fiat CEO Sergio Marchionne can't stop the financial bleeding in Europe, so he's shifting the automaker's growth and profit focus to Chrysler Group in the United States. Marchionne, who has been spearheading an industrywide effort to cut excess assembly lines in Europe, vowed to close a second Italian factory, after shuttering one last year, unless he finds a way to export cars to the United States. "We need to coordinate the efforts; otherwise somebody is going to pay a huge price for it," Marchionne said in a conference call with analysts yesterday. "The European market is now heading for a fifth-straight year of decline; we are now seeing levels in the Italian market which has not been since 1979," he added, citing "irrefutable evidence of market decay." For Marchionne, the potential flow of cars from Europe to North America would follow the money. Capital spending at Chrysler, which Marchionne also runs, will rise to $4 billion this year from $3.1 billion in 2011, while Fiat is reducing European investment by 500 million euros this year. Chrysler plans to raise its full-year profit forecast after the third quarter and doesn't expect a slowdown in the second half. "Marchionne's strategy to bet on North America as Europe stalls make sense as things stand now," Emanuele Bosio, CEO of Italian car-parts maker Sogefi, said in a phone interview. "We are bullish on North America, and we don't expect the European market to return anytime soon to pre-crisis level." Sogefi plans to boost revenue from outside Europe to 50 percent in 2015 from 30 percent last year as it expands in North America, Bosio said. Marchionne rescued Chrysler from bankruptcy in 2009. The addition of the third-largest U.S. carmaker gave Fiat an outlet lacking at PSA/Peugeot-Citroen, Europe's second-largest carmaker. The French automaker last week was downgraded to two levels below investment grade by all three main credit rating services as it burns through 200 million euros a month in cash. PSA reported a first-half net loss of 819 million euros, compared with a profit of 806 million euros a year earlier. Fiat posted net income, including minority interests, in the period of 737 million euros. Without Chrysler, the Italian manufacturer's loss was 519 million euros. Operating losses in Fiat's home region widened to 184 million euros in the second quarter from 170 million euros in the prior three months. "Fiat has reached a point where they are probably taking a view that it doesn't make an awful lot of sense to invest in Europe," said Erich Hauser, a London-based analyst with Credit Suisse. "If you've got to spend money somewhere, you might as well spend it in the United States, where there's a chance of making a return." Marchionne, who plans to combine Fiat and Chrysler to boost revenue to more than 100 billion euros by 2014, is refreshing Chrysler's lineup while delaying new models in Europe. Next year, Chrysler will update the Jeep Grand Cherokee SUV and Ram heavy-duty pickup and replace the Jeep Liberty SUV. In Europe, a new version of the Grand Punto hatchback was delayed from its planned rollout next year because the introduction would be a "failure" as margin-sapping discounts rise amid the auto market's contraction, Marchionne told reporters last month in Turin. "Any investment we make in the Punto will never, ever return capital, so we sit on the sideline until we find better conditions," Marchionne said in his conference call yesterday. "It makes more sense to launch products in a growing market," said Sascha Gommel, a Frankfurt-based analyst with Commerzbank. "Marchionne is one of the best car managers around. He's not the classic car guy, but on the financial and strategic side, he's really one of the best." In turning around Fiat, Marchionne hasn't been afraid to shake up things. 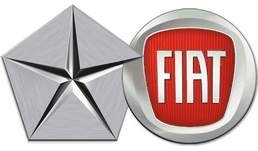 Fiat Industrial SpA, the truck and tractor manufacturer that carmaker Fiat spun off in 2011, plans to move its primary listing to New York from Milan after a reverse merger with its CNH Global NV unit in a blow to Italy. Fiat Industrial, which controls the tractor maker through an 88 percent stake, proposed to CNH's board the creation of a new company in a share exchange. CNH is evaluating the proposal. Marchionne is Fiat Industrial's chairman. He has also taken on Italian unions, spurring a wave of protests as he sought concessions and closed a plant in Sicily. Unions fear that Fiat's cuts in Europe are permanently damaging the business. Marchionne said yesterday that he will make a decision about Fiat's European plans, including further plant closings, in October, after seeing quarterly earnings. "The CEO failed with his strategy," Giorgio Airaudo, a leader of the Fiom CGIL metalworkers' union, said in a phone interview. "If you don't invest in new products in Europe you keep down debt levels and boost liquidity, but you lose market share that you won't get back when the crisis ends." Fiat's European sales dropped 17 percent in the first half to 456,191 vehicles as the carmaker's Italian home market plunged 20 percent, according to data from industry group ACEA. Industrywide sales across the region declined 6.3 percent, causing market share to drop to 6.6 percent from 7.4 percent. Chrysler's U.S. market share rose 1.4 percentage points from a year earlier to 11.5 percent after the company increased deliveries 30 percent in the first half, doubling the industry's 15 percent gain, according to researcher Autodata Corp.
After failing with earlier efforts to partner with PSA and General Motors Co.'s Opel, Marchionne was "left having to do something with Chrysler -- whether that was design or whether that was luck," said Credit Suisse's Hauser. "Of all those options, it was the best one to go for."